Following is the fifth in a series of posts by Parker Law Group reflecting on recent changes to the California Bar Association’s Rules of Professional Conduct (RPC), under the category of “Lawyer-Client Relationship,” focusing on “conflict of interest involving current clients” – related to avoiding the representation of adverse interests. (a) A lawyer shall not, without informed written consent from each client and compliance with paragraph (d), represent a client if the representation is directly adverse to another client in the same or a separate matter. (b) A lawyer shall not, without informed written consent from each affected client and compliance with paragraph (d), represent a client if there is a significant risk the lawyer’s representation of the client will be materially limited by the lawyer’s responsibilities to or relationships with another client, a former client or a third person, or by the lawyer’s own interests. (2) the lawyer knows or reasonably should know that another party’s lawyer is a spouse, parent, child, or sibling of the lawyer, lives with the lawyer, is a client of the lawyer or another lawyer in the lawyer’s firm, or has an intimate personal relationship with the lawyer. (3) the representation does not involve the assertion of a claim by one client against another client represented by the lawyer in the same litigation or other proceeding before a tribunal. (e) For purposes of this rule, “matter” includes any judicial or other proceeding, application, request for a ruling or other determination, contract, transaction, claim, controversy, investigation, charge, accusation, arrest, or other deliberation, decision, or action that is focused on the interests of specific persons, or a discrete and identifiable class of persons. 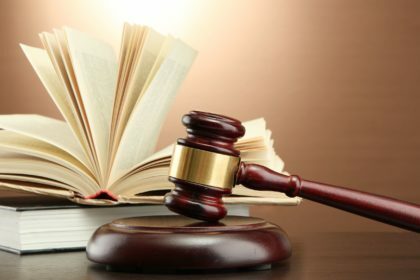 One minor difference between the old version of the CBA’s RPC (Rule 3-310(B)-(C) and the new version is that the term “member” has been changed to “lawyer.” Under the new RPC’s Rule 1.7, as set forth above, the restrictions placed on an attorney who represents more than one client are delineated, but slightly more consolidated. The number of paragraphs addressing various conflicts that could arise when a lawyer represents more than one client (whether in one matter or multiple matters) have been reduced. Benefit: This is a significant set of rules. Generally speaking, the changes are intended to further stress and clarify potential conflicts and the obligations of counsel.